We love our pups and shower them with kindness and affection. But did you know that you’re probably annoying your dog as well, without even meaning to? When you love a human, you want to stare deeply into their eyes for hours, and it may feel instinctive to do the same with your dog. However, dogs hate staring! They often interpret it as a sign of aggression. If you speak to your “idddle widdle puppy” in a high-pitched baby voice, you may want to stop. 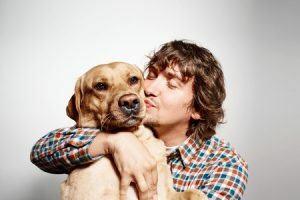 Dogs interpret high-pitched sounds as signs of distress, so Fido might think you’re in trouble when you really just want to express your affection. Primates hug each other to show affection, but canines don’t. That hug may feel good to you, but your pooch probably doesn’t like being confined in your arms. Do you ever pretend to throw a ball during a game of catch, only to secretly keep it? Well, dogs don’t like that. It’s confusing and frustrating! Even if you’re tired, take your pup out for a walk, and feed him the same food around the same time every day. Inconsistency stresses dogs out. Now that you’ve learned more about how to not irritate your pooch, you might be thinking it’s time to add a new best friend to your family! At Pauley’s Pups, we have an assortment of puppies and toy breeds available. Contact us at 804-798-7877 to learn more about our adorable dogs for sale.